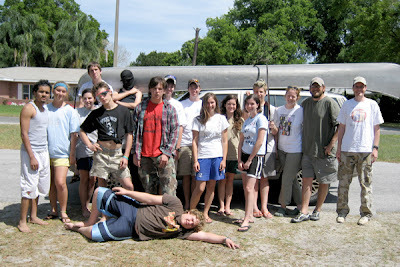 a couple weeks ago i took the covenant pres youth group camping out at mosquito lagoon. we had a blast. 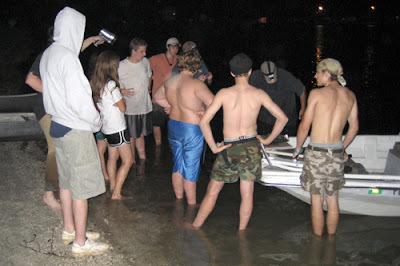 caught a ton of fish, played capture the flag on the island and had some sweet mafia games around the camp fire at nigh. cant wait to do it again. 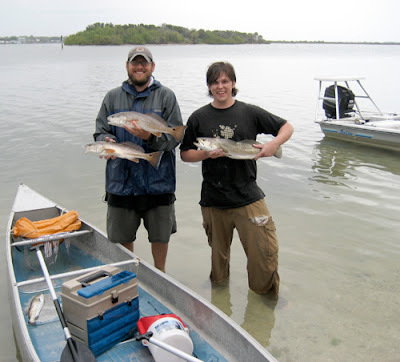 one of our trips, oliver and i caught 20 reds and several trout in about an hour. 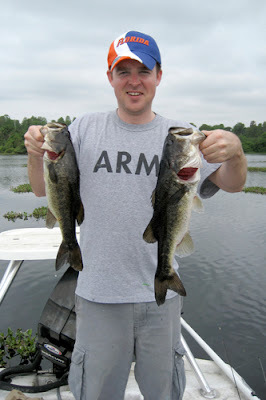 today we had our 3rd extreme bass tournament on lake kissimmee. the weather was, well, wet and windy very windy. we fished all day in a constant down pour and 30 mph winds. not the best fishing conditions and not many folks brought back fish to the scale but we managed to cash our first check on the tour. 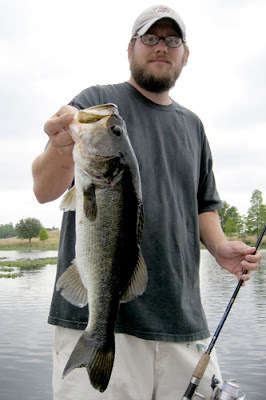 we caught about 12 bass but all save one were to small to keep. however, "the one" was a monster. 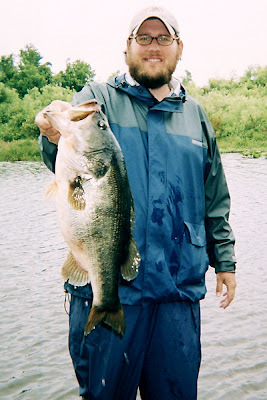 she weighed 9 lbs even and that was plenty big enough to claim "big bass" honors. 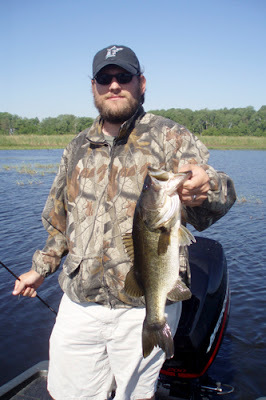 a nice little bass from our prefish yesterday at lake toho. 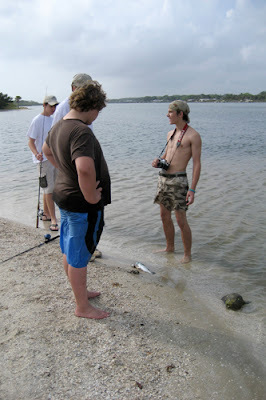 i wouldnt say we found the fish but i think we eliminated some water. 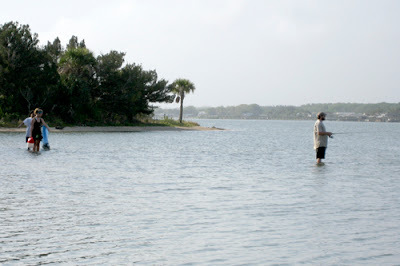 from last weekend when richie and i went fishing. caught over a 100 fish. 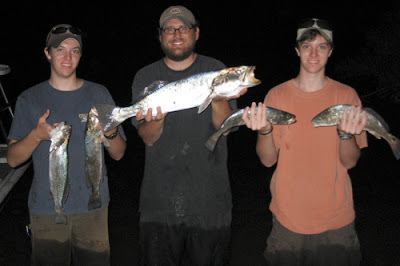 kept a limit (50) of speck (my favorite fish to eat). 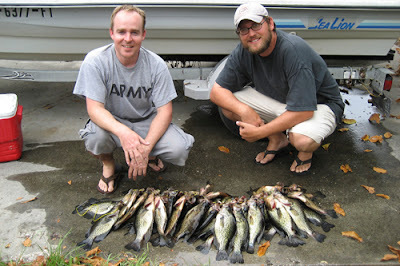 we both had a blast and richie finally got to keep some fish he caught and eat em. yum yum!